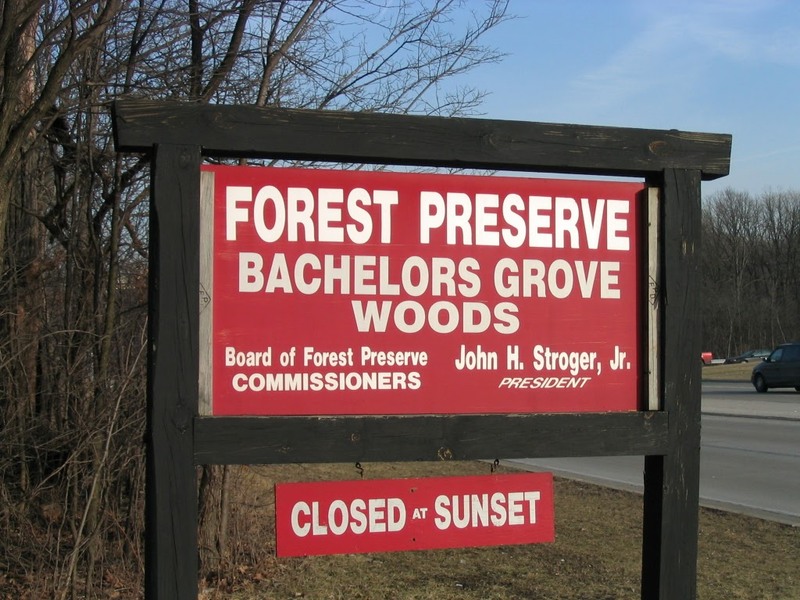 The Bachelors Grove Woods Forest Preserve is home to one of the last remaining sections of timber that was a part of the Batchelors Grove settlement in the early 1800s. It is also home to Bachelors Grove Prairie, a hidden gem that the Grove Restoration Project was helping to restore. The origin to the name Bachelors Grove Woods comes from the recognition to the naming of the area in the early part of the 19th century. Local historians place the original naming of the area in the hands of the Batchelder family. The original sign was recovered by the Bachelors Grove Cemetery and Settlement Research Center and donated to the Tinley Park Historical Society where it remains in storage awaiting to be put on display. 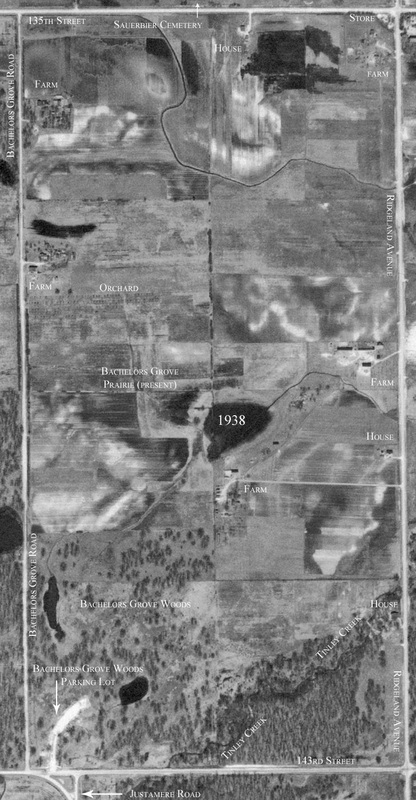 The image below represents what the area used to look like. The image was captured via airplane in 1938.